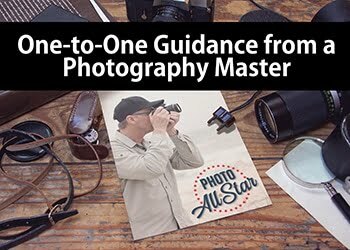 This is a guest article on how to post pictures and videos on Instagram from your computer by travel and landscape photographer Usnea Lebendig. Whether you’re a casual photographer or a pro, Instagram is undeniably one of the most important social channels around. 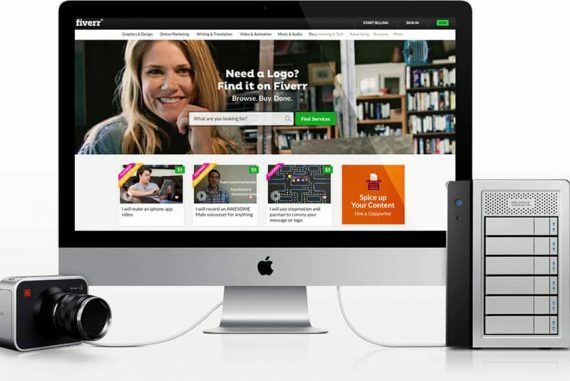 Not only does it have the highest average engagement rate of all the main social channels (even higher than Facebook and Twitter) – it’s a goldmine of opportunity. 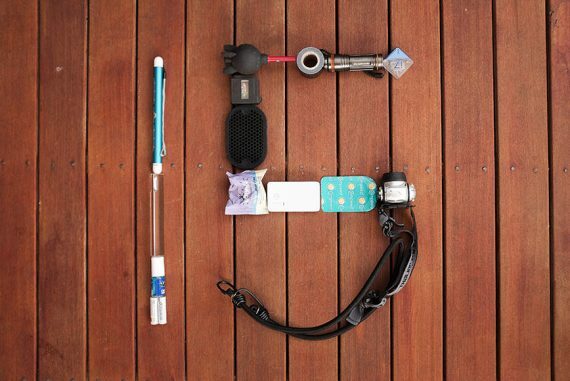 For pros, Instagram is one of the best places online to grow your brand. 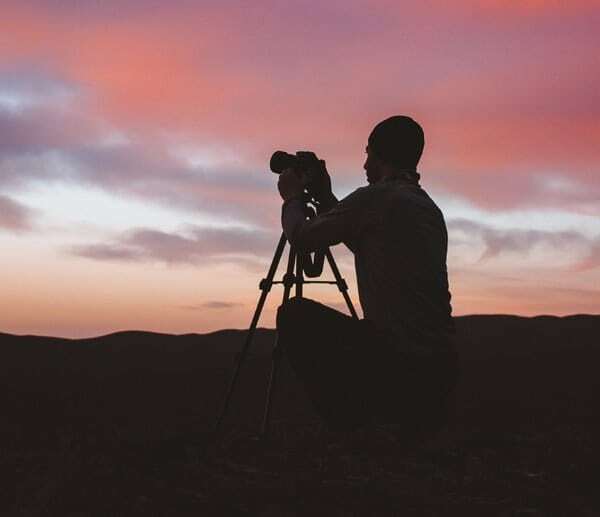 Even hobbyist photographers, with enough dedication, can get their work in front of a lot more people with a percentage of them converting to sales. That being said, the fact that Instagram is designed to be a mobile-only app can be a true headache for serious photographers. 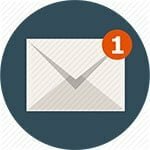 Sending content from our computers to our phones – especially if we’re uploading a lot of content – can be tedious on the best of days. Luckily there are some effective work-arounds. Some are easier than others, and the one you choose will really depend on your workflow, but all of them beat having to upload to Instagram via your phone. Let’s dive in to the best options to post pictures and videos on Instagram from your computer. 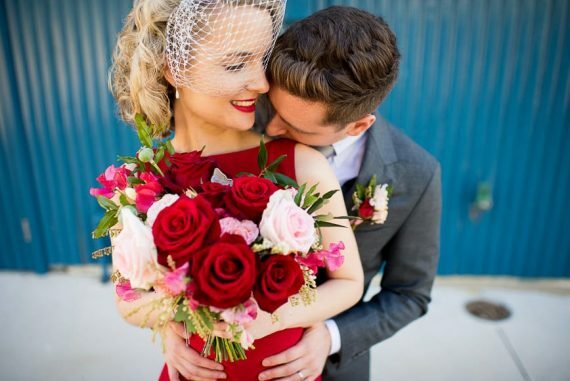 Lightroom rocks in so many ways, and plugins like LR/Instagram are one of the reasons why. It’s hands down the easiest way to get around needing to send images to your phone. 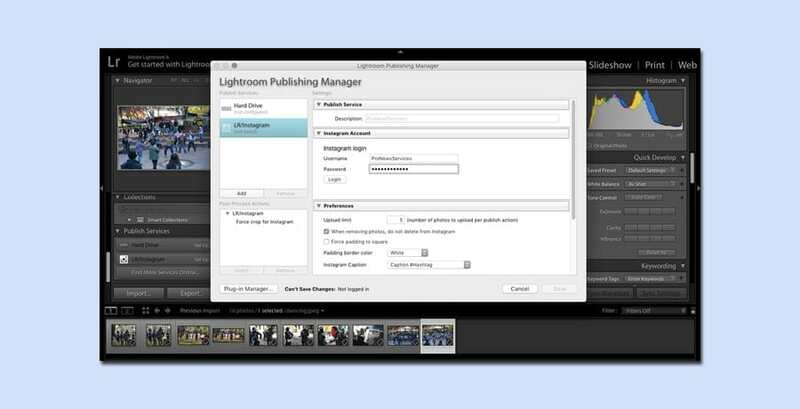 Simply install the plugin, go to the Lightroom Publishing Manager (under publishing services), and then login with your Instagram account. You don’t have to open a web browser or deal with any other app. LR/Instagram comes with a metadata panel where you can create custom formats, caption images, and add Instagram-only hashtags. You can also set it to force-crop images to any Instagram aspect ratio or use the default automatic white-border padding. You can also publish to multiple accounts, upload multiple images at once (as separate posts), and edit their metadata in Lightroom… even after the photos are published. You won’t have access to Instagram’s built-in features (i.e. 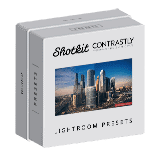 their filters), but if you’re already editing in Lightroom, you probably don’t need them. You also can’t tag people on the photo like you can with the Instagram app (though again, you can tag them in the caption). You also can’t create carousel posts. Still, unless multiple-image posts are your primary visual outlet on Instagram, there’s not really much that this plug-in doesn’t do. LR/Instagram is compatible with just about every version of Lightroom out there, from Lightroom 3.x-6.x on Windows XP (or later) and Mac OS X 10.7 (or later) to Adobe Lightroom Classic CC. It’s shareware, so it’s free to download and try out, but they do ask a modest $10 licensing fee if you decide you like it. Honestly, a more than reasonable fee for all the headaches it saves! One often overlooked solution to the mobile-only problem on Instagram is using browser extensions. A quick search will show a few options for both Google Chrome and Firefox, all allowing you to upload from your desktop. They vary a bit in their abilities to tag, caption, and add hashtags, and not everyone seems to be able to get them to work, but when they do work people are very happy with them. To-date you can’t do any direct messaging, and like with the Lightroom preset, you can’t create carousel posts. But again, if your main goal is working out how to post pictures on Instagram from your PC or Mac, neither of these issues will be deal breakers. Vivaldi is a relatively new, cross-platform web browser that has some unique features. One of these is the fact that it will run mobile versions of any site you wish. 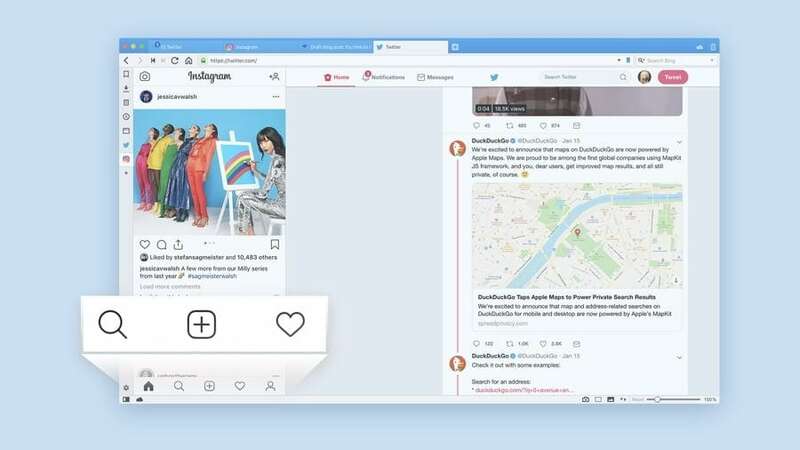 That means you can easily run Instagram with almost full functionality straight from the Vivaldi browser. 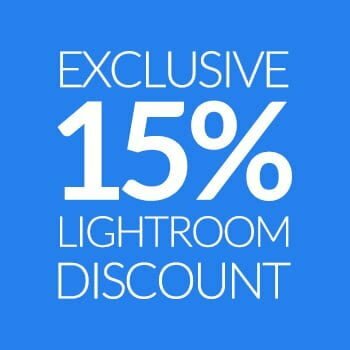 Sure, it means adding yet another browser to your desktop, but if you’re a heavy Instagram user who doesn’t use Lightroom, this is by far the easiest way to go about things. 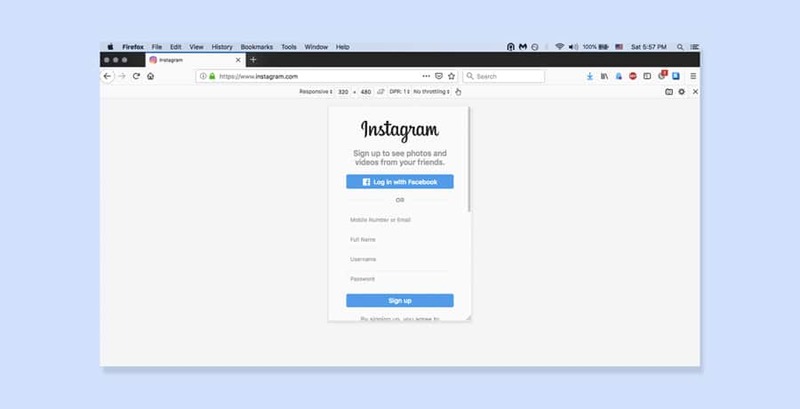 Now, a mobile version of Instagram (or any other mobile site you wish to use), will appear in a sidebar on the left-hand side of the browser, all while allowing you to browse other sites normally in the main window. If you need to, you can resize the sidebar to make the mobile window fit better. Once your mobile window is up, hit the camera icon to upload images or videos to Instagram. Yep, that’s right – no more racking your brain for how to post videos on Instagram from PC or Mac – this is a slick solution. While being able to access mobile sites might be your gateway into the Vivaldi world, there are actually a number of other reasons to give it a try. What’s more, it’s free and continually updated. Today, most modern web browsers have a built-in feature that allows you to change how they’re perceived by the websites you’re visiting. It’s called “spoofing” your browser user agent. 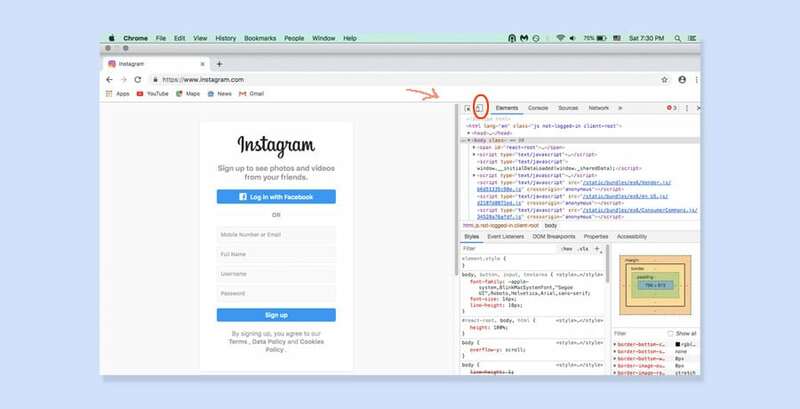 It’s quick, safe, and relatively easy to do, but you won’t get all the features that come with the true mobile version of Instagram. For instance, it doesn’t work with video files or gallery/carousel posts. 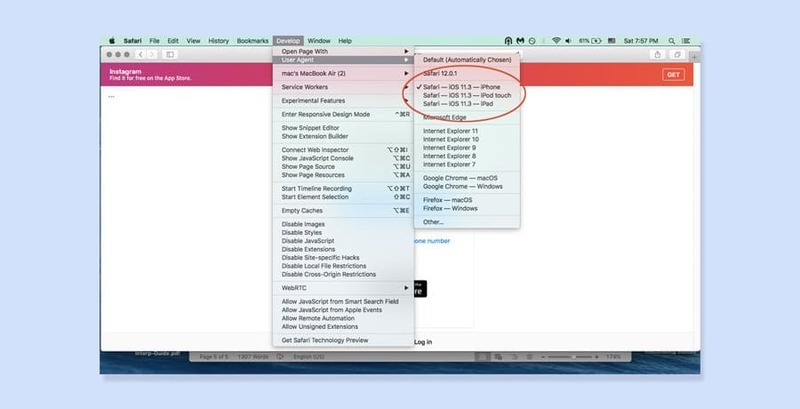 Go to your menu bar and navigate to tools -> web developer -> responsive design mode. Once you log in, use the “+” button to upload a photo, just like on your phone. Google Chrome is a bit trickier. 1. Go to Instagram and log in. 3. Ignoring all the code (it’s irrelevant to this operation), go to the little icon that resembles a tablet/phone at the top of that Inspector window. Click on that. That should turn the left side of your screen into a mobile form of the web page selected (in this case, Instagram). If you wish to change the phone sizing, go to the “Responsive” menu and pick the one closest to your device (or the dimensions you prefer to work in). 4. If you click on the screen size area of your browser (mine shows 100%), you’ll see an option for “Fit to Window”. Select that. Conversely If you don’t see the upload photo “+” button, try refreshing your browser window. 1. 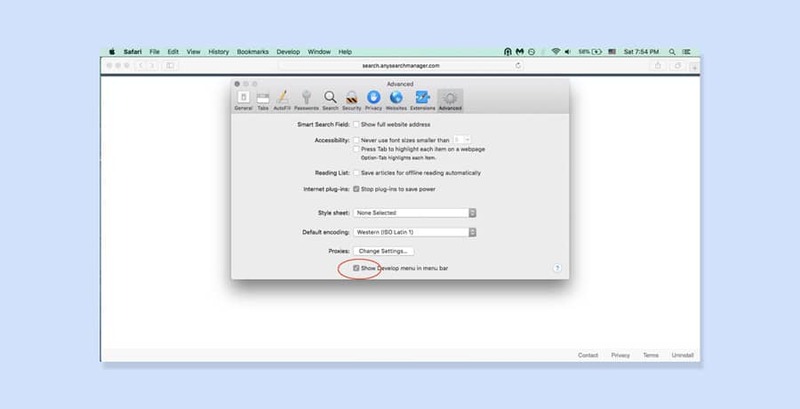 Open Safari and select “Advanced” from the preferences menu. 2. Click on the “Show Develop Menu” box at the bottom of the preferences box. 3. Go to Instagram and log in. 4. Head over to the Develop menu and select USER AGENT –> Safari – iOS 11.3 iPhone (or whatever device is closest to your own). From here, navigate through Instagram as you normally would. Sometimes a message to rotate your device might crop up. If that happens, try making the window narrower by dragging the edge of the window inwards. Like with the other browser spoofs, you won’t be able to post multiple photos or upload videos, but it’s a decent enough work around in a pinch. Instagram frowns on third-party apps uploading content to their site, and there are plenty of reports of accounts being flagged for doing so. There are also some potential security issues, as some of the apps require your Instagram login details. I haven’t heard of any problems with the apps listed below, but I’d still recommend only using these apps if the other methods in this post don’t work for you. Bluestacks in an Android emulator for both Mac and PC. It allows you to run a light version of the Instagram Android app on your desktop. There’s no bulk upload and you can’t manage multiple accounts, but you can do all basic Instagram actions. 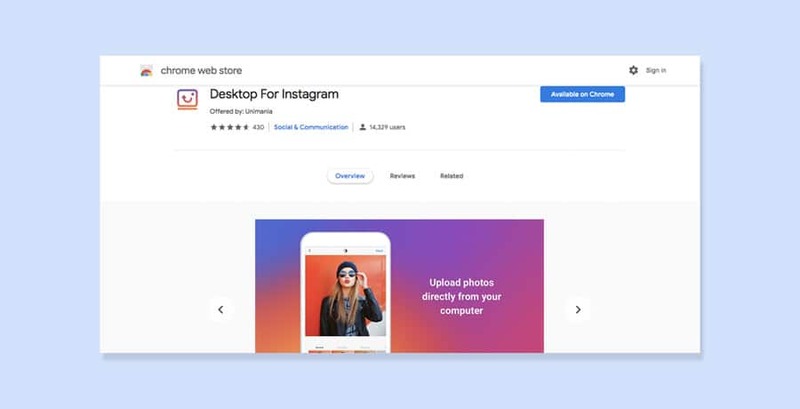 Some of the reasons to choose Bluestacks over, say, changing the user agent in your browser are that Bluestacks allows you to edit posts and share to other social networks. Not a big deal to me, but for some people that might make it worth installing. 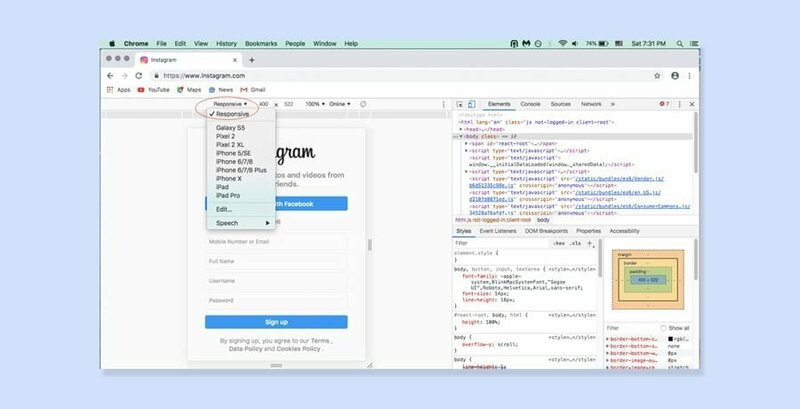 Deskgram lets you do from your Desktop most of what you’d do from your phone – upload, browse, use filters, hashtag searches, tag other accounts, etc. You need to use it through Google Chrome, though. Also, as of this time Windows users can’t upload videos and there are no scheduling or batch uploading options. Another downside is that the version that allows you to upload runs on a subscription – $2.99/month. To get to it, you first need to download the free version and then ‘upgrade’ to the Pro version. A fully-automated Instagram post scheduler allowing you to set up in advance when you’d like your posts to appear. 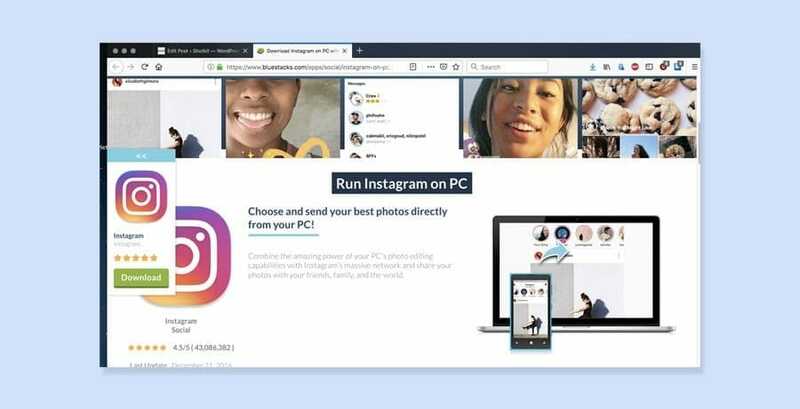 It has bulk uploading of both photos and videos (up to 50 at once), editing and cropping, and allows you to post to numerous accounts (including Facebook and Twitter). Basically it’s for people who need to manage their Instagram accounts at a larger scale (i.e. businesses). There’s a 14-day free trial. After that, subscriptions start at $16/month. Like Hopper HQ, Iconosquare is meant for managing Instagram accounts at scale. Some of it’s more unique features include an social media calendar for remembering “hashtag holidays,” a filter that lets you know when most of your followers are online, and a feature that tells you when to post for maximum engagement. Basically, it’s a marketer’s dream. So if you’re trying to really work Instagram for maximum engagment, this app might be your best choice. Uplet allows you to bulk upload photos/videos and send posts to multiple Instagram accounts. You can edit your posts as you would on Instagram and add individual captions to each photo. It also has a crop option that lets you upload either the original or a square-size photo. It doesn’t, however, allow you to reply to direct messages, browse your Instagram feed, or search for new accounts to follow. You can try it for free, but after that there’s a one-time fee of $19.95 for a personal license. Even with all of these different options, I have to say I really prefer working with the Lightroom plugin. It’s simple and works really well with my workflow. Still, if you’re not a Lightroom user or if you need options like bulk uploading, it’s good to know there are options. What do you think? Know of any other options? 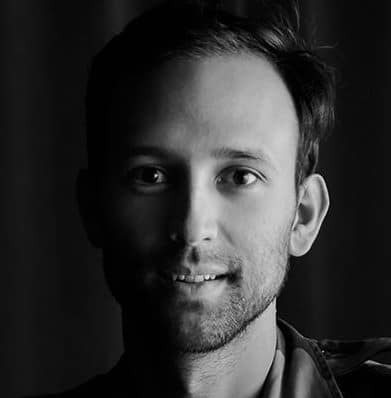 Usnea Lebendig is a travel and landscape photographer who loves trekking in the wilderness, exploring other cultures, and using photography for social activism. I have been using the “Grids for Instagram” app on my MacBook Pro laptop for more than two years. Works like a charm! I prepare all my images in Photoshop, add a small copyright signature, plus a small black border before uploading. 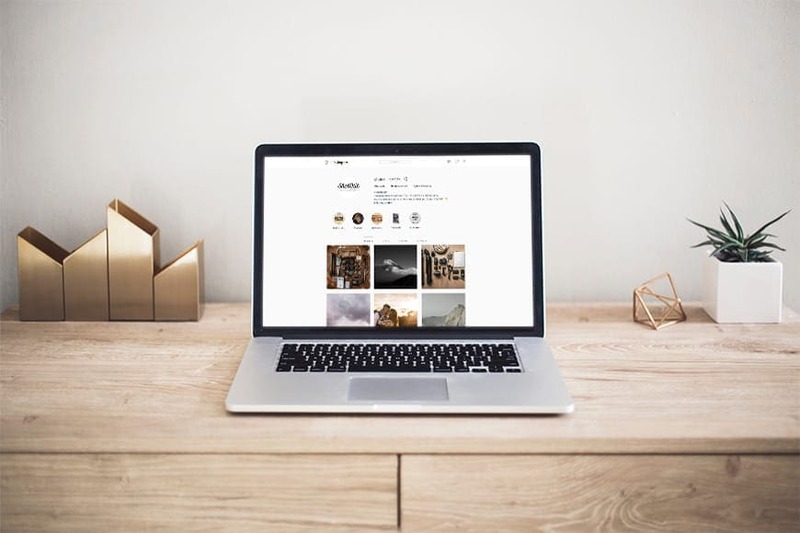 Grids for Instagram allows you to create carousels too, those multiple stacked images that visitors to your page can swipe left to view. You can easily add caption text and if necessary, edit or add to the caption once posted. Adding a location is a snap, by typing in a location, then selecting from a drop down menu of listed locations. Sometimes the exact place you took a photo might not be available, so a general listing might be best. Example: Instead of “Dorval Island”, which is part of Montreal and was not available, so I would use “Montreal, Quebec”. You can also view your images on your laptop or computer monitor in four different formats – Square, Brief (caption info hidden) Vertical and Horizontal – the latter two displaying your caption info and comments received. A square at the bottom right on a posted image, allows you to view your images, or others, in a full screen mode. This allows you to check the quality. Click to enlarge, click to return to normal. The app lists your number of posts, followers, who you are following, plus your saved and archived images. Basically most of what you can do on your iPhone, but instead on your laptop, with the advantage of a larger keyboard! Note: This app does NOT support emoji’s of any kind, so I add them after I have posted on my iPhone7 Plus or when commenting on others photos. The one flaw I miss, but not a deal breaker. Any Idea on how to upload video? I keep getting an error message on my phone preventing me from uploading any video content and cannot for the life of me figure out how to fix it!! Maybe try using one of the computer apps listed in this article then Andy – there are several that support direct video uploads to Instagram. Hi Andy, You did not say what platform you are on, however I used FilmicPro on my iPhone7 Plus, and have no problems uploading to IG or FB direct from my iPhone. LumaFusion is a good app for iPhone to import and edit videos shot on an iPhone using their native app, or FilmicPro. Thank you so much for sharing, I greatly appreciate it.